Traditional money and banking textbooks are long, expensive, and full of so much institutional and technical modeling detail that students cannot understand the big picture. Thomas F. Cargill presents a new alternative: a short, inexpensive book without the 'bells and whistles' that teaches students the fundamentals in a clear, narrative form. In an engaging writing style, Cargill explains the three core components of money and banking, and their interactions: 1) the financial system, 2) government regulation and supervision, and 3) central bank policy. 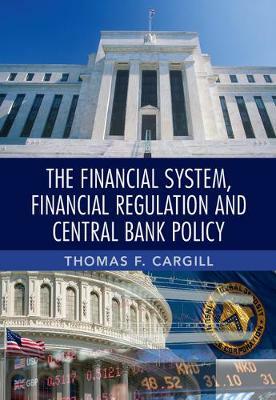 Cargill focuses on the interaction between government financial policy and central bank policy and offers a critique of the central bank's role in the economy, the tools it uses, how these tools affect the economy, and how effective these policies have been, providing a more balanced perspective of government policy failure versus market failure than traditional textbooks.